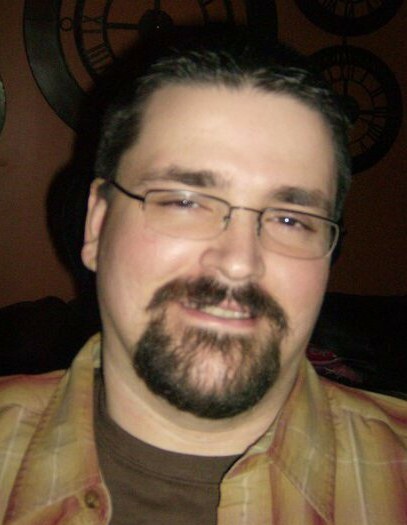 Obituary for Dewey E Stinson | McKee Mortuary Inc.
Dewey “Eddie” Stinson Jr., 45, passed away peacefully in Fort Wayne, Indiana on February 1, 2019 at 5:57 p.m.
Dewey was born on April 17, 1973 in Welch, West Virginia to the late Dewey Stinson Sr. and surviving mother Bessie (Jones) Addair. During his childhood, Dewey grew up in Avondale, West Virginia and later graduated from Iager High School in 1991. Later in life, he went on to graduate from Bethel College with an associate degree in Business Management. He worked for Fairmont/Gulf Stream, Etna Green, Indiana as an assistant superintendent for 13 years, before health issues forced him to retire. Dewey was loved by many people and enjoyed spending time with the people he loved. He also enjoyed being with his three girls, watching movies and going on trips to West Virginia. Dewey’s loving memory is carried on by his three daughters, Lillian (Devon Steele) Stinson, Liberty Mills, Indiana, Kayleigh Stinson and Olivia Stinson, both of North Manchester, Indiana; mother, Bessie Addair, Welch, West Virginia, one brother, Larry (Kay) Roberts, Tazewell, Virginia; five sisters, Hazel (Larry) Addair, Avondale, West Virginia, Claudia (Darrell) Yates, Claypool, Indiana, Barbara (Kavin) Roberts, North Vernon, Indiana, Christine (Joe) Jones, Avondale, West Virginia and Anita (Sam) Bright, Orrville, Ohio; several nieces, nephews and other relatives. He is preceded in death by his father, Dewey Stinson Sr.; two brothers, Dennis Roberts and Charles Roberts; one sister, Deborah Auville. A memorial gathering in his memory will be held Saturday, February 9, 2019 from 5:00-9:00 p.m. at the North Manchester Scout Hall, 108 West 7th Street, North Manchester, Indiana 46962. A memorial gathering will also be held at a later date in Avondale, West Virginia.